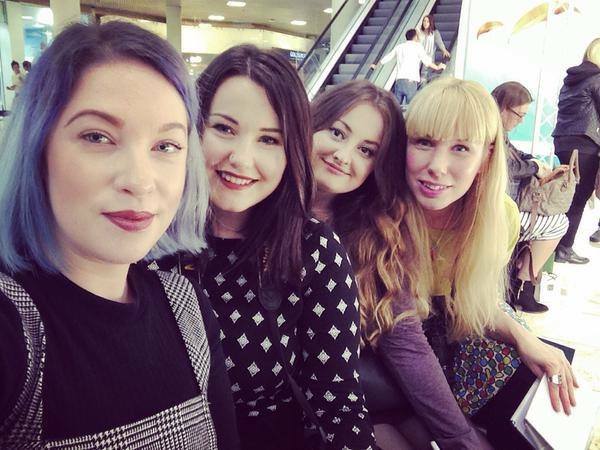 On the evening of Wednesday 7th October I was invited to attend the Intu Metrocentre VIP Autumn / Winter Fashion Show Live alongside other North East Bloggers and Press. 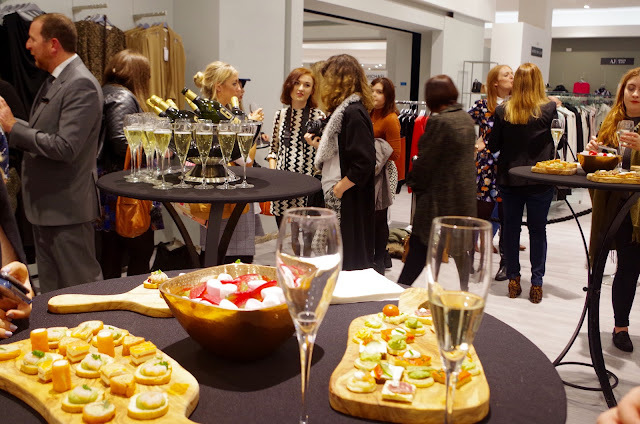 We were greeted by the fabulous House of Fraser who took us in store to enjoy a splendid spread of delicious canapés and of course there was a steady stream of bubbles flowing. House of Fraser began a refurbishment in July this year and is due to be completed on Thursday 12th November 2015. There will be 20 new brands on offer including Michael Kors, Lauren by Ralph Lauren and Whistles I can't wait! After an introduction by the delightful Steve Clarke the Store Manager of House of Fraser we embarked on a guided tour of their Beauty Hall. Here you will find a one stop shop for all your important pampering needs and all the essentials you could possible ask for, for getting ready for that big night out. With SHOW blow dry bar, Nails Inc nail bar, Estee Lauder 10 minute beauty bar and Decleor...what more does a gal need! We then headed out to our reserved seats to enjoy the fashion show. 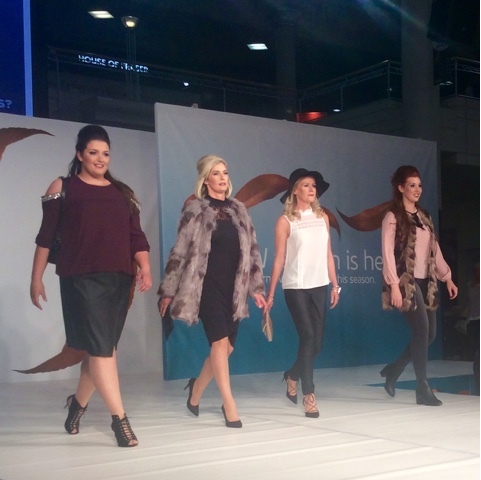 Here the catwalk showcased this seasons autumnal trends for both men, woman and children. 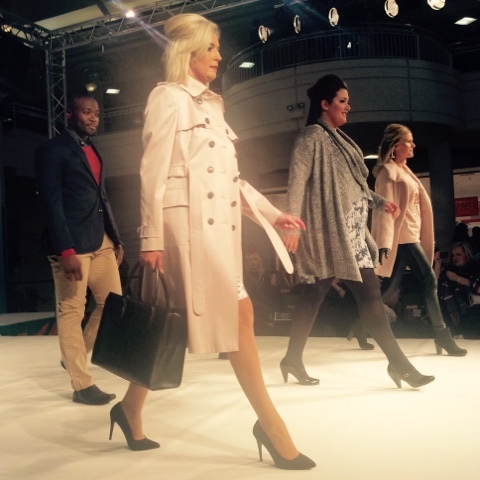 The Fashion shows will be running until Sunday 11th October so why not get yourself along. 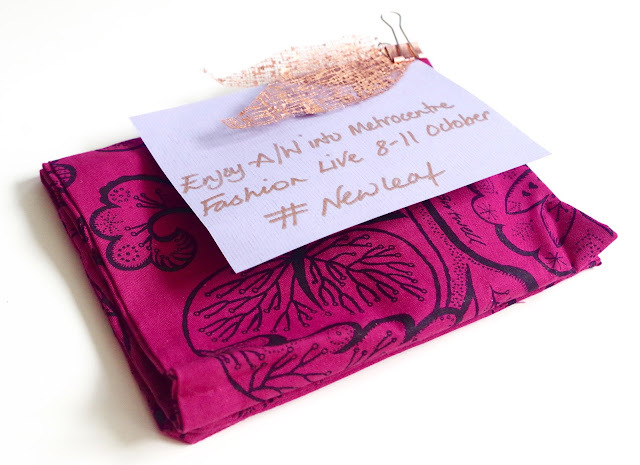 Intu Metrocentre have collaborated with textile designer Celia Bitwell to produce an exclusive print for their A/W 2015. The design combines two of the seasons must have colours in one exclusive design and I was lucky enough receive a tote bag printed in this bold colourful pattern. If you spend £50 or more in one transaction on Intu Gift Cards between 8th-Saturday 31st October you could get your very own Celia Bitwell/Intu tote bag (while stocks last). On each of our seats along side the Celia Bitwell tote was a Goodie Bag. 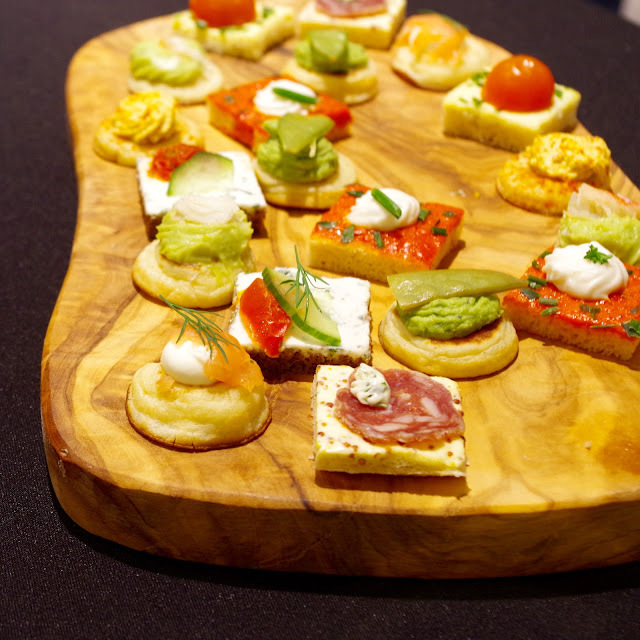 Below is just a selection of the magnificent products that the generous House of Fraser gifted us in the bags. 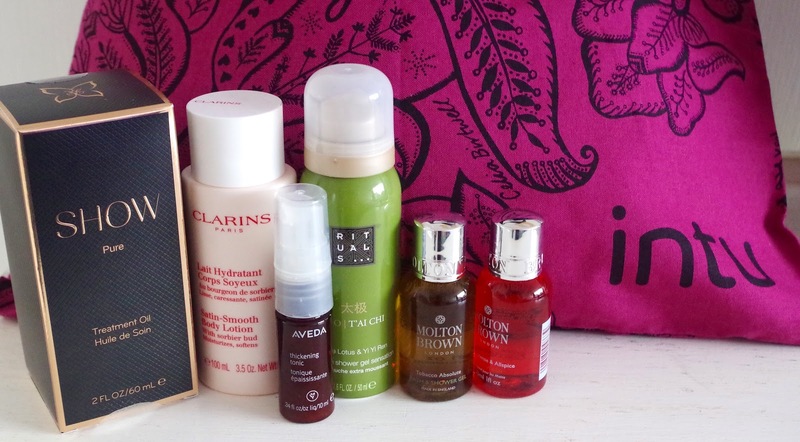 A collection of beauty and hair products that I can't wait to try! I have penciled in a 'me day' especially to try out these lovelies. Most importantly I got to hang out with these ladies from left to right Laura - Look At My Clothes, Rhian - Chapter And Circle, Laura - Off The Hanger Etc and me! Thank you Intu Metrocentre and House of Fraser for a fantastic evening!